The Mind Movies Tribe Is Now Mobile! 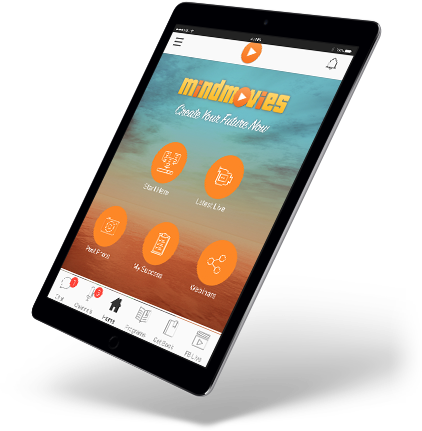 The Mind Movies App Provides You With Today's Best Personal Growth Wisdom And Programs, And Directly Connects You With Like-Minded People All On The Same Upward Journey As Yourself. Enter Your Email Or Phone Number Below To Receive A Link To Our App Now! Please select the appropriate link below to download the Mind Movies app to your mobile device! The Mind Movies community is a diverse global gathering of 5.8 million people, all with one shared passion: we believe in harnessing our minds to manifest our greatest lives. 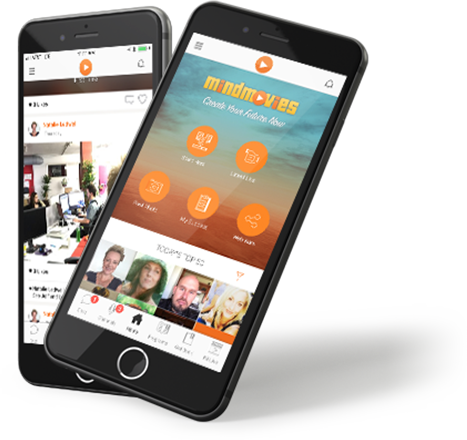 The Mind Movies mobile app puts you right in the center of this community - where you get all the wisdom, inspiration, friendship, accountability, and support you need to realize your limitless potential! Access all-new personal growth training videos with Mind Movies co-founder Natalie Ledwell. Explore the latest ideas in the Law of Attraction, neuroscience, visualization, meditation, and more. Share inspiring photos, messages, and daily wins with the Mind Movies community. It's like social media, but only the good stuff! Enroll in the latest free Mind Movies webinars. Join thousands of participants worldwide on these immersive experiences, and never miss another one again. Chat online in real-time with the Mind Movies community. Say hello to your new best friends. Subscribe to articles that interest you. Just follow the channels you like, and we'll send you an instant update each time a new blog post goes up. Get exclusive app-only deals on our bestselling programs. From home training courses to guided meditation packs, there's something for all areas of your personal growth. And the more you use it, the better it gets. Just login daily and use the Mind Movies app to earn prizes, badges, and points you can redeem for valuable training content.